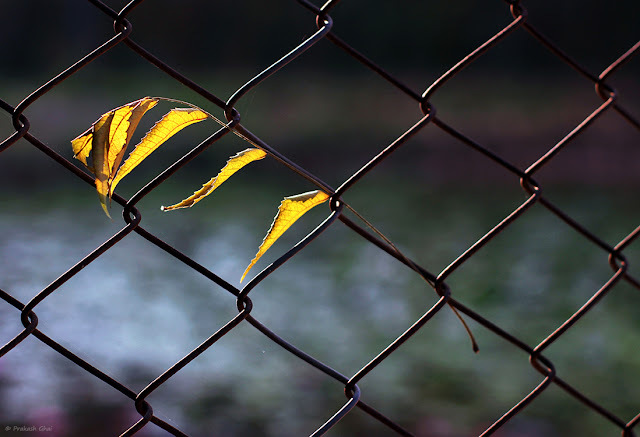 The Minimalist Photo above, "Dry Yellow Leaves Hanging on Metal Fence" is from my recent trip to Smriti Van Jaipur. As you can see, my only subject here is the "Dry Yellow Leaves" and the metal fence in repetition is just to offer support to the main subject. Hence, we can classify this Minimalist Photo under the "Minimalism as Less Elements" category of Types of Minimalism in Photography. I have taken this shot from my Canon 50mm f1.4 prime lens. Such shots would turn out better if you use a Macro Lens. The Bokeh or the Background blur that you see would be softer and creamier especially if you shoot on a Full Frame Camera. Minimalism and Nature is a Wonderful theme to shoot. Go out to a nearby garden and try your hands on it. I am sure you would enjoy it.